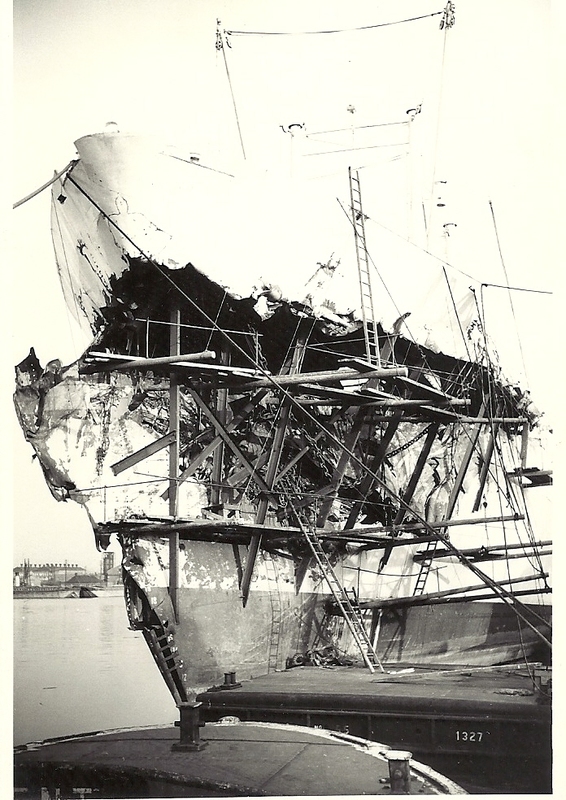 This photo of BENCOMO of Fred Olson, shows bow damage after a collision. Can anyone tell me the other ship involved. More excellent photos, JW. 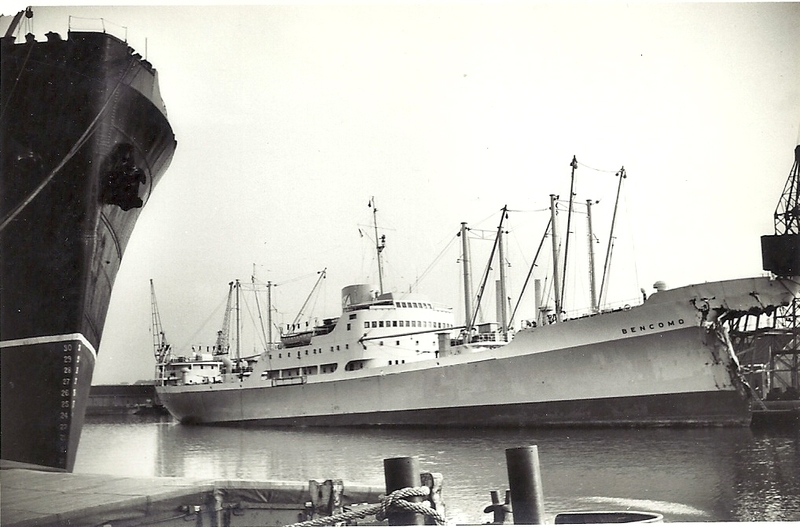 This was probably the only visit made by BENCOMO (built 1950; 3607 tons gross) to Tilbury’s enclosed docks. It was built specifically for Oslo shipowner Fred Olsen & Co’s service between Teneriffe and London (Millwall Dock), for the carriage of fruit. It also carried 10 passengers in first-class accommodation. 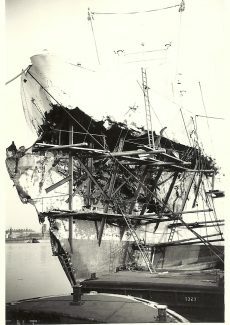 On the morning of 18 April 1964, when outward bound from London to Teneriffe, BENCOMO was in collision in fog with the Esso Petroleum Co tanker ESSO CARDIFF (31,676 tons gross) not far from the Shivering Sands forts (that’s the Second World War forts beyond Southend). ESSO CARDIFF sustained relatively minor damage and went to Rotterdam for repairs. BENCOMO turned round and came back up the Thames, lying off Gravesend for a while during which the berth in Tilbury Dock was made available. It appears that Harland & Wolff were involved in the patch-up work in Tilbury, but I cannot yet trace information on where the vessel was fully repaired. 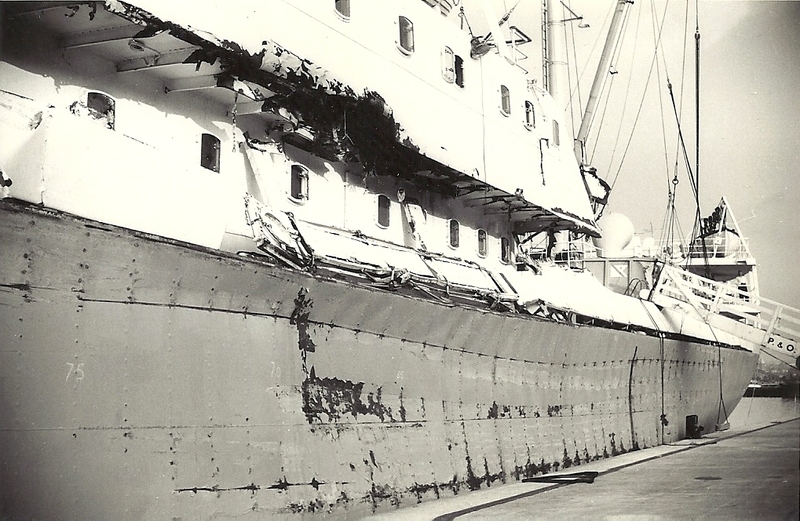 A couple of weeks later BENCOMO was off to Gothenburg, so doubtless was docked and repaired there. By autumn 1964, the vessel was back on her regular service between Teneriffe and Millwall Dock.